Samsung Tizen operating system is likely to become the default OS on Samsung mobile devices just like IOS on Apple mobile devices. Samsung has for sometime been developing its own mobile operating system, Tizen, to run on their devices and differentiate them from the competition. Samsung, which at the moment is the world’s largest mobile device maker will be launching its Tizen OS really soon to run their phones. The first handset to run on this new OS was the Samsung Z which was launched in Russia. There are rumors that the launch of the new Samsung Tizen operating system will be in India, in a few weeks time if not days. 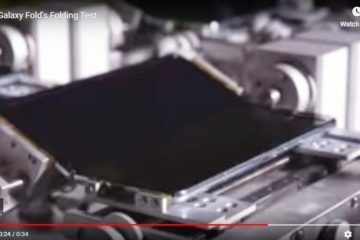 For a long time, Samsung have tried to strengthen its market in India and Southern Asia as a whole. And this launch, even though not confirmed officially, might be one of the many campaigns aimed at wooing the huge Asian population. The launch of the Tizen, and an accompanying mobile device in India, is seen as a move to counter that of Google which recently introduced its line of Android One phones into the South Asian market. Samsung is looking to increase its numbers in India which is a rapidly growing market as the competition in the Smartphone industry becomes stiffer each passing day. It is rumored that Samsung will be launching the Tizan based Z1 smartphone before the end of the year. This is a budget Smartphone which will be sold at about INR6,000 ($100). The 4-inch 800×480 pixel display Tizen based Z1 Smartphone comes with a 1.2Gz processor, 4GB internal memory, 512MB RAM, 3.2MP rear camera, dual SIM and radio functions. Samsung have been using Google’s Android OS to run their smartphones and the Tizen is one way going it solo into the OS sector which at the moment has three players, Android, iOS and Windows Phone. Though this may seem as an uphill task for Samsung to convince most customers who are used to Android to shift to Tizen, it will be interesting to see how things unfold. Tizen was developed by Samsung together with Intel. It borrows some features from Bada. It runs on a Linux based platform and has several softwares incorporated into it. This includes Firefox OS as well as Ubuntu Touch. Just like Android, Tizen will be open source and this means that it will not only be limited to Samsung phones only but with the permission of Samsung, other manufacturers can use it in their devices as well. This will play well for Samsung since the features about the Tizen OS currently in the public domain show signs of a really powerful operating system likely to disrupt the Mobile OS sector. Something worth noting about the Tizen OS is that it will not only primarily be used in Smartphones only but will also be incorporated to other devices and as you may guess Laptops and TV add to that list. This means that this may be a strong household name in a very short time if Samsung strategizes well. Also the Tizen OS is expected to support HTML 5 which means content developers will have a lower cost alternative for app creation as well as better video and streaming support which will not require one to keep on downloading plug-ins. The apps on this type of platform also tend to perform better and offer more quality service to the client. This will play quite well as a marketing strategy especially the strong media support. 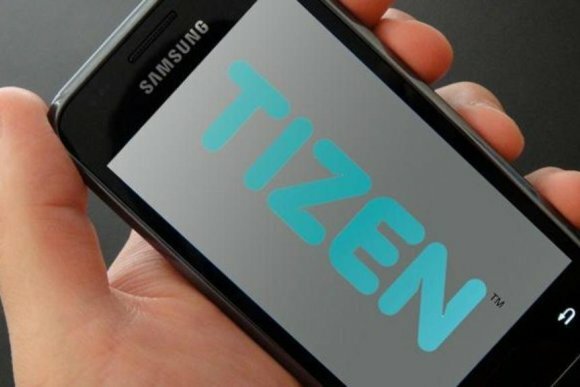 Tizen, from all the information gathered about it, may be able to eat a large share into the android market as it offers the same ease of multitasking as Android and considering that Samsung has the reputation for making phones suitable to each market expectation this may work in Samsung’s favor. Last year Samsung began collecting and bringing together Tizen apps and finding content developers to ensure a smooth running after launch with abundance of Apps in the open Tizen store. The kinds of Game loft’s Asphalt 7 are already set and others of the kind which is a clear indication of the content that will be available after the launch. Samsung seems to be on the right track in their OS development though the tech giant is not releasing any official communication about its launch but with everything looking to be set in place it will not be a surprise if the rumored Galaxy S6 will run on Tizen OS and maybe coincide with Tizen’s launch. The first tablet to run on Tizen is also rumored to be launched soon so everyone will just have to wait and see what Samsung has in store for us.